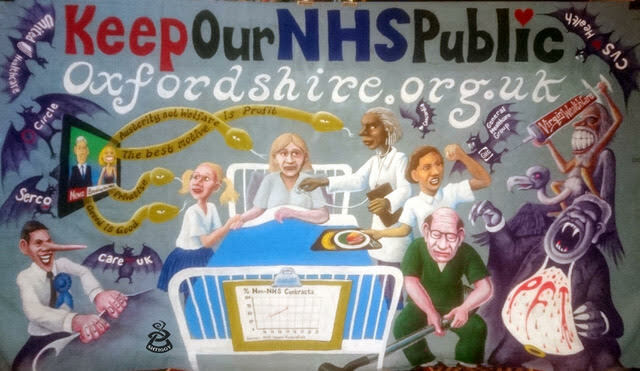 – Keep Our NHS Public! This means funded from taxation, free at the point of use, and provided as a public service by people employed in the NHS and accountable to the people and Parliament. – Build a broad-based non-party political campaign to prevent further fragmentation and privatisation of the NHS. – Inform the public and the media about what is happening as a result of the government’s ‘reform’ programme. – Call for a public debate about the future of the NHS and halt the further use of the private sector until such a debate is had. Oxford KONP meets on the second Tuesday of every month. Our meetings are in the Oxford Town Hall and begin at 7.30. All meetings are open to the public. Stop our PET scanners being privatised ! 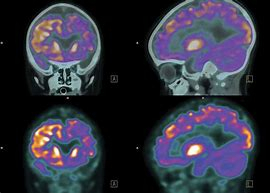 PET (positron emission tomography) scanners are used in cancer care in the Department of Nuclear Medicine at the Churchill in Oxford. This location is convenient for patients, consultants, and nurses. Trained and qualified staff operate the scanners, which are a key part of the ‘patient journey’ for certain forms and stages of cancers. The scanners are part of the hospital equipment at the Oxford University Hospitals NHS Foundation Trust (OUH). NHS England has decided that our PET scanner services – NHS ones – should be put out to tender. Even though the Churchill ones are working perfectly well. They have put all PET scanner services out to tender across the South East, whether they were working or not. This meant that OUH had to put in a bid to run its own scanners. Which they did, explaining how the existing budget is needed for the service to function. They lost the contract. InHealth, a private, for-profit company undercut the OUH and the NHSE commissioners awarded InHealth the contract. Unless we show this would have a bad impact on the services and the patients, and would risk poorer outcomes, the change will go ahead. The scanners may well be moved onto a private site – this is still to be arranged – and will be operated by less trained staff, as we understand the situation. This can’t be right! We should support our NHS Trusts to stand up to this, and keep the PET scanner service in the Churchill, run by the Department of Nuclear Medicine. Write to your county councillor (this should have come to the Joint Health Overview & Scrutiny Committee and it hasn’t – so urge them to halt the process until it has been scrutinised). They need to know that you are outraged at this privatisation of a fully functioning service, and are concerned about the impact this will have on patients, the patient’s cancer care journey, the quality of care, and the staff who rely on timely access to highly trained staff who run the service. Despite its international reputation for cancer care, Churchill hospital in Oxford has lost its contract to carry out PET-CT scans to InHealth, a private company, as part of the tendering process, the Guardian can reveal. SHOCKING failings behind an NHS decision to hand care for 63,000 people to a private company have been revealed. A damning new report exposes the fiasco after Oxfordshire health bosses handed physiotherapy services for the county to Healthshare Ltd. Read full article in the Oxford mail. “Stroke of a pen” can end NHS competition… but are the privateers still smiling? The government has the power to overturn NHS competition rules without the need for new legislation, according to an analysis by health academic Peter Roderick. It means that ministers could grant the request of NHS England to end the much criticised competition rules within the NHS, which it made within the NHS long term plan. Under the current rules NHS commissioners are obliged to advertise contracts, which has resulted in over £25bn worth of NHS clinical work being put out to tender, according to figures from the NHS Support Federation. Nearly 40% of the value of the awards has been won by the private sector. The John Radcliffe Hospital has been ordered to make urgent improvements after inspectors from the Care Quality Commission found unhygienic and dilapidated operating theatres posed a potential risk to patients. Secretary of Oxfordshire Keep Our NHS Public Bill MacKeith, slammed the CQC findings pointing to last week’s National Audit Office report which claimed the current NHS funding situation was not sustainable. He said: “It is heroic that our NHS staff continue to operate in these circumstances so that the population get treated. The chronic underfunding and drive for efficiency savings/targets in the NHS has led to a firefighting, crisis driven atmosphere, and the high use of agency staff – over 800 in the OUH – and continuing use of the private sector to clear waiting lists is both costly and not joined up, which makes it inefficient at the same time as further depleting the hospital’s funds. Lets hope the CQC report will shame NHSE into action on our operating theatres.” See full story in the Oxford Mail. Major restructuring of the NHS goes forward at pace. What is shocking is what is missing from the Plan – the virtual absence of discussion and proposals to address the severe problems facing the NHS. Some positive concessions and considerable window dressing; but a major danger is the pushing ahead to impose new structures; forced mergers of Clinical Commissioning Groups (CCGs); the break-up of primary care and forced mergers of GP practices; extending the reach of privatisation and NHS charges; enforced fire sales of NHS estate. The National Audit Office (NAO – that deals with numbers and not propaganda) has had a detailed look through the Tories’ long-term NHS plan launched a couple of weeks ago. Their conclusion is quite different from this government’s narrative that they are supporting our NHS. The NAO estimates that £700m is what would be necessary to restore the surgical waiting lists to the level of last March, but trusts have said that even with additional funding this target is largely unobtainable due to difficulties in recruiting staff. Since 2010 any funding injection has not been nearly sufficient to account for historic underfunding and is merely utilised on spending for current pressures. Both the NHS, (and indeed social care which is inextricably linked), must be sufficiently funded and staffed if we are ever to see a return to a well-functioning and truly sustainable health service. Local campaigning group the Socialist Health Association slams ‘’inadequate” County Council consultation on Mental Health cuts. As part of a draft budget proposal for 2019/2020, Oxfordshire County Council are proposing two major cuts in Mental Health spending: £1 million over two years to the Community and Volunteer Organisations (CVO) providing mental health services; and £600k in mental health social workers. Read more. “We are deeply alarmed that the new Integrated System Delivery Board (ISDB), the main driver behind the proposed Integrated Care System, is buried deep in the structure, and virtually invisible from the scrutiny of elected representatives, meeting in secret and producing no public minutes. We are also concerned at the fact that today the CCG is hosting this meeting – another blurred line. The draft terms of reference of the ISDB (at item 9), if passed, will confirm this unhealthy inter-dependent structure. We want the HWB to think again.” Read more. The NHS recently carried out a consultation on the contractual arrangements for the proposed system of Integrated Care Providers (ICPs). The Oxfordshire Clinical Commissioning Group plans to create such a system in Oxfordshire. In the Oxfordshire KONP December 2018 Newsletter you can read how this plan is being developed in secret and what it could mean for our local health and social care system. Oxfordshire KONP’s response to the online consultation can be read here. “There is an urgent need to create sustainable models for acute medicine in smaller hospitals. Too often, the knee-jerk reaction has been to try to close or downgrade these services rather than to develop solutions that better suit the needs of the local community. As a result, attempts to close these services have tended to fail, while the problems they were trying to address remain.” Read the report here. This month we celebrate the 70th birthday of the NHS. But the NHS is threatened as never before by deliberate underfunding, top-down reorganisation, and privatisation. 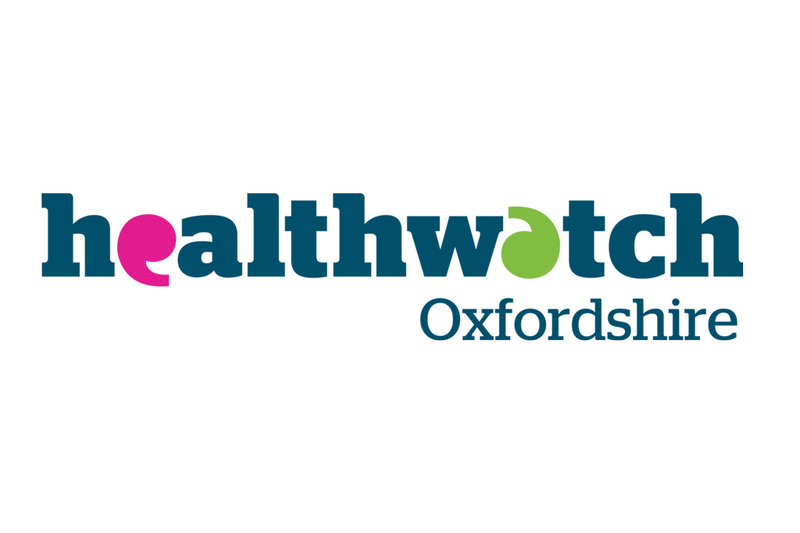 In this Newsletter, read about the increasing lack of transparency in Oxfordshire NHS, the ongoing campaign around the Horton in Banbury, and privatised endoscopy in Witney. Tory worries about privatisation? Some senior cabinet ministers, according to the Health Service Journal, have described the Conservative government’s changes to the NHS as “one of the biggest mistakes made by the coalition government”. On 22 May, the BBC reported that the government was having second thoughts about key aspects of their 2012 Health and Social Care Act. Read more. Oxon NHS Campaigners join rally to back NHS Judicial Review legal challenge Oxfordshire NHS campaigners joined almost 100 NHS Defenders from across the country at a rally outside Leeds High Court on Tuesday 24 April to show their support for a legal challenge to a contentious new form of NHS contract. This Accountable Care Organisation contract is designed to ‘manage demand’ – which basically means restricting and denying health care to patients. This would undermine the core principle that the NHS provides comprehensive healthcare to everyone who has a clinical need for it. Read more. 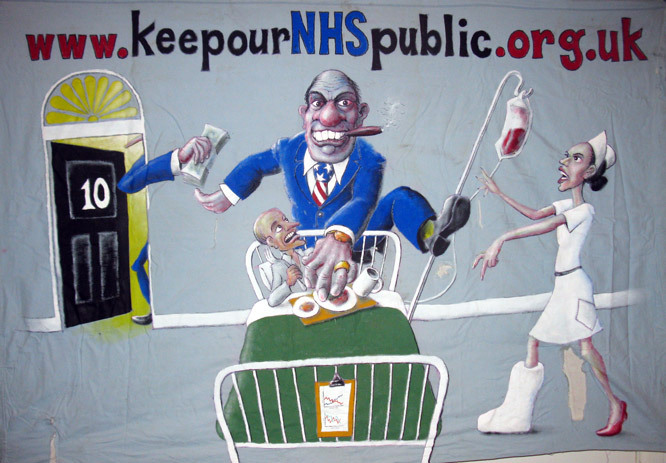 Are Accountable Care Organisations a vehicle for even greater privatisation of the NHS? If hospitals, GPs, mental health, and community care are all operating not as separate independent entities but within multiple unitary systems known as Accountable Care Organisations, all with a single provider contract, who will manage these complex contracts? If commissioning contracts so far are any guide, it will be private companies. Read more. 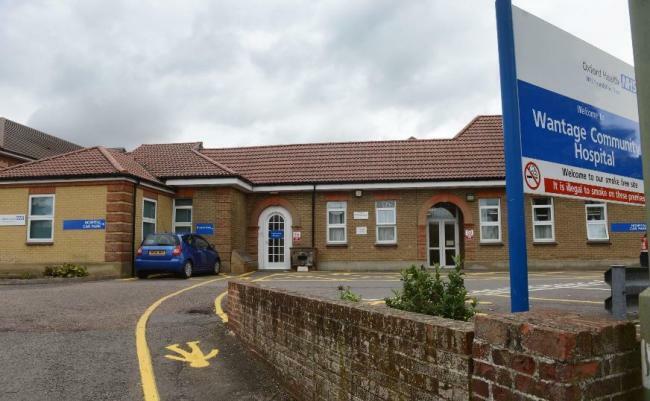 When the Clinical Commissioning Group (CCG) decided to close down obstetrics at the Horton and centralise everything at the JR, the County Council’s Health Overview and Scrutiny Committee objected and referred the matter to the Secretary of State. The response from the Secretary of State came this month and was very critical of the CCG’s decision. But will it save the Horton? Read more. Our January newsletter, Oxfordshire NHS News, has information about radical changes to Oxford’s GP services, as well as news about the Horton and a new head at the Clinical Commissioning Group. Plus disturbing news about cancer care at the Churchill. Judgement Reserved In Horton General Hospital Judicial Review The judge ordered the Oxfordshire Clinical Commissioning Group (OCCG) to take no further steps or decisions with regard to the Horton General Hospital until judgement is handed down. Campaigners in recent years have frequently used the slogan, ‘Austerity Kills’. Now we know that it’s true. A landmark study, published in the British Medical Journal (BMJ), concluded that the cuts to spending on health and social care led to ‘around 120 000 excess deaths from 2010 to 2017‘. If austerity continues, this would lead to 150,000 extra deaths between 2015 and 2020. Government reorganisation of the NHS has failed to boost community care in England. One of the key aims of government has been to cut back on the number of patients turning up at A&E or being referred to hospital specialists and have them cared for instead within the primary care or community care sector. According to a recent study, this hasn’t worked. National Konp Briefing on Accountable Care Organizations, November 2017. 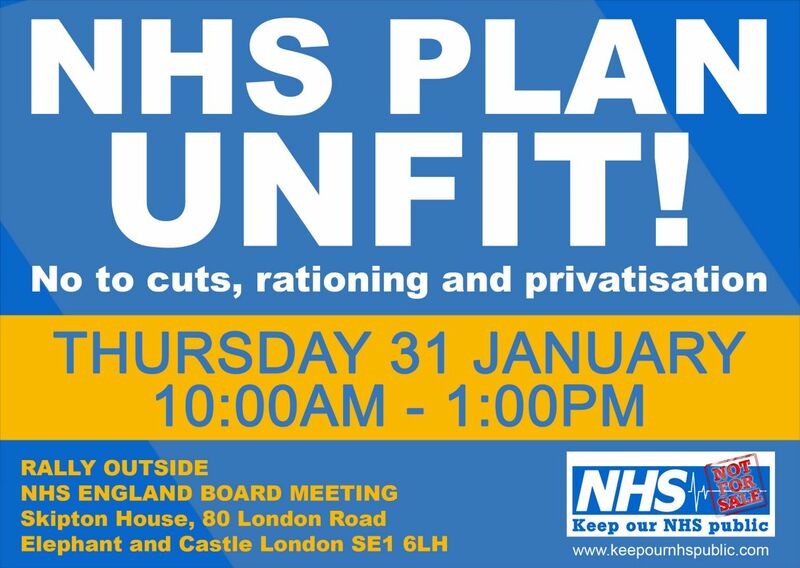 This briefing outlines how, as little as five years since the massive restructuring imposed by the Health and Social Care Act (HSC Act) of 2012, the NHS is again undergoing radical change, this time at breakneck speed and without parliamentary consent. Simon Stevens has signalled his distance from Tory cuts that he has championed since 2013. It remains to be seen if he will keep his job under a Labour government. Our case will be heard on Thursday 7 and Friday 8 December. 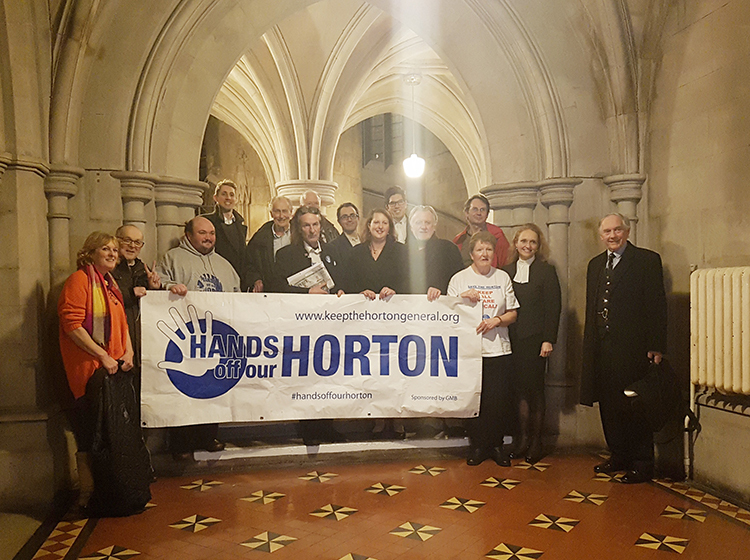 The hearing will centre on the legality of the Oxford CCG’s consultation concerning the downgrade of Horton General.